In recent years, the role for multiparametric MRI in prostate cancer detection and management has expanded. Ongoing research shows that potential for multiparametric MRI to help reduce instances of overtreatment and understaging. One barrier to mainstream implementation has been a lack of standardization in the interpretation and reporting of multiparametric MRI exams. 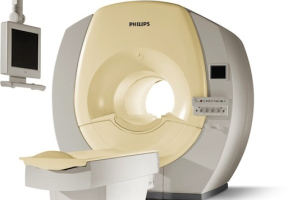 However, the Prostate Imaging Reporting and Data System (PI-RADS) helps to solve that problem. PI-RADS refers to a set of standardized guidelines for interpreting multiparametric MRI exams. These guidelines were developed by a joint steering committee organized by the American College of Radiology, AdMeTech Foundation and European Society of Urogenital Radiology. PI-RADS attempts to eliminate variation in the interpretation of multiparametric MRI. Multiparametric MRI relies on three separate imaging sequences to reveal functional and anatomical information about potential cancers. Using PI-RADS, data from each of these sequences is considered to produce a score of 1 through 5. A lower score indicates a lesion or abnormality that is most like benign and a higher score indicates a malignant cancer. PI-RADS 1 – Very likely to be benign. PI-RADS 2 – Likely to be benign. PI-RADS 4 – Likely to be malignant. PI-RADS 5 – Very like to be malignant. Prostate cancer kills more American men than any other cancer besides lung cancer. However, screening procedures for prostate cancer have traditionally been unreliable. The current standard relies on prostate-specific antigen (PSA) testing and transrectal ultrasound (TRUS) biopsy. While PSA testing and TRUS have helped to save many lives, these procedures provide incomplete information about prostate health. Uncertainty associated with diagnoses made by TRUS biopsy have resulted in millions of inappropriate biopsies and inappropriate treatment recommendations. More often than not, prostate cancer is slow-growing and unlikely to cause harm. Men with low-grade, low-risk prostate cancer are more likely to die from other causes than from their cancer. On the other hand, men with high-grade, high-risk prostate cancer can benefit from treatment that begins while their tumors are still small. The goal of prostate cancer screening should be to identify more high-grade, high-risk prostate cancers and to avoid overtreatment of low-grade, low-risk prostate cancers. Multiparametric MRI can help to accomplish this goal. Researcher Research published July 2014 in European Urology demonstrated how PI-RADS can be used to identify men who can benefit from biopsy. By referring only men with PI-RADS scores of 3 to 5 for biopsy, multiparametric MRI was able to reduce total number of biopsies by 36 percent, reduce detection of low-risk cancers by 87 percent and improve detection of high-risk cancers by 18 percent. While multiparametric MRI is still being research and protocols for interpreting exams are being refined, early results show that it can help to improve management of prostate cancer patients. I am personally excited to participate in the future development of multiparametric MRI and to help patients understand how this exam can improve outcomes. If you have any questions, please contact us.